just as there will be false teachers among you. and thus bring on themselves swift destruction. the true Way will be maligned. We see a comparison in the beginning of these two verses of the false prophets discussed in Yirmeyahu (Jeremiah) 23:16-32 and Yechezk’el (Ezekiel) 13:3-10 to the modern day false teachers of the time. You may (or may not) know that we see the same kind of exposition in Y’hudah (Jude) 4-16.
they will exploit you with fabricated stories. their destruction is not asleep! Psalm 119:36 (CJB) 36 Bend my heart toward your instructions and not toward selfish gain. Traveling diviners, false prophets and moral teachers typically charged fees or begged funds and were thus frequently accused of having monetary motives unworthy of their professed callings (see comment on 1 Thes. 2:5). False teachers in the church were likewise exploiting Christians. Craig S. Keener, The IVP Bible Background Commentary – New Testament, (Downers Grove, IL: InterVarsity Press, 1993), WORDsearch CROSS e-book, Under: “2 Peter 2:1-22 Damnation of Immoral Teachers”. Maybe this is one of the reasons that Yeshua (Jesus) sent the talmidim (disciples) out without their begging bags . . .
Matthew 10:9-10 (CJB) 9 Don’t take money in your belts, no gold, no silver, no copper; 10 and for the trip don’t take a pack, an extra shirt, shoes or a walking stick — a worker should be given what he needs. Mark 6:8-9 (CJB) 8 He instructed them, “Take nothing for your trip except a walking stick — no bread, no pack, no money in your belt. 9 Wear shoes but not an extra shirt. Luke 9:3 (CJB) 3 He said to them, “Take nothing for your trip — neither a walking stick nor a pack, neither bread nor money; and don’t have two shirts. Where does it say begging bag Bill? This is where we have to know a little about history – about culture. Culture then, not now. Words and how they were used then, not now. Deissmann (Light from the Ancient East, pp. 108f.) shows that it can mean the beggar’s collecting bag as in an inscription on a monument at Kefr Hanar in Syria: “While Christianity was still young the beggar priest was making his rounds in the land of Syria on behalf of the national goddess.” Deissmann also quotes a pun in the Didaskalia=Const. Apost. 3, 6 about some itinerant widows who said that they were not so much chērai (spouseless) as pērai (pouchless). He cites also Shakespeare, Troilus and Cressida III. iii. 145: “Time hath, my lord, a wallet at his back, wherein he puts alms for oblivion.” Archibald Thomas Robertson, A.M., D.D., LL.D., Litt. D., Word Pictures in the New Testament, (Nashville, TN: Broadman Press, 1930), WORDsearch CROSS e-book, Under: “Matthew 10:10”. To depend on God DAILY to take care of us – to provide for us. Just like the Israelites did for 40 years, Yeshua is saying: TRUST! This is the antithesis of Greed or covetousness. The word Greed and the context it is used in can not be ignored. It it applicable to many modern day ministries and doctrines. Many of us (maybe all of us) are guilty of the sin of greed (covetousness – selfish gain) at one time or another. At the end of the day, would you covet if you trusted Adonai? Would you be selfish? How many of us truly trust Adonai for our DAILY provisions (our daily bread)? How many of us stockpile our daily bread and then trust in our own abilities? In the Septuagint emporeuomai appears 11 times translating several Hebrew words for traveling and trading. Apparently, as in the Greek world, those who traveled were associated with those who traded and bartered goods for a living. Emporeuomai occurs only twice in the New Testament. In James 4:13 it retains the common secular meaning of “engage in trade” (KJV: “buy and sell”). In 2 Peter 2:3 it is used figuratively to convey the idea of exploitation (KJV: “make merchandise”; NIV: “exploit”; TEV: “make a profit”). Thoralf Gilbrant, ed., “1694. ἐμπορεύομαι,” in The Complete Biblical Library Greek-English Dictionary – Delta-Epsilon, (Springfield, MO: Complete Biblical Library, 1991), WORDsearch CROSS e-book, Under: “1694. á¼Î¼Ï€Î¿ÏÎµá½»Î¿Î¼Î±Î¹”. we did not rely on cunningly contrived myths. On the contrary, we saw his majesty with our own eyes. Punishment – κρίμα krima.Judgment,decision, sentence . . . condemnation. The Greeks used it in several ways: in the sense of the decision by a political authority, thus “a decree”; a decision in a legal situation, thus “a judgment”; or even as the verdict on the merits of a literary work, thus “a critique” (cf. Liddell-Scott). krima can refer to a final, absolute judgment of God which will determine a man’s fate for all eternity (Acts 24:25; Hebrews 6:2). 1 Timothy 3:6 (CJB) 6 He must not be a new believer, because he might become puffed up with pride and thus fall under the same judgment as did the Adversary. Thoralf Gilbrant, ed., “2890. κρίμα,” in The Complete Biblical Library Greek-English Dictionary – Zeta-Kappa, (Springfield, MO: Complete Biblical Library, 1991), WORDsearch CROSS e-book, Under: “2890. ÎºÏá½·Î¼Î±”. 17 For the time has come for the judgment to begin. Verse 1: Destructive – ἀπώλεια apōleia. The opposite of salvation. Eternal destruction, damnation, death, ruin, wasted, to be lost . . . eternal punishment – soul damning. Verse 2: Destructive ways – ἀπώλεια apōleia. Destruction, ruin, waste, perdition, damnable, perish. It can’t be any more clear . . .
that do these things for selfish gain – to make bank, or power, or prestige . . . .
are going to face judgment resulting in hell. Why is this so important to know?!? are going to lead others to hell with them. who will then . . . . This is how the departure happens. This is how doctrine becomes more important than the actual Word of God! And you know the saddest thing of all? Brothers and Sisters, the Word of God is not a game. It is REAL and has VERY REAL CONSEQUENCES! HELL is for REAL . . .
We will continue our study soon . . . This entry was posted in False Teachers and False Teaching, Word Studies and tagged 2nd peter 2:3, kefa. Bookmark the permalink. 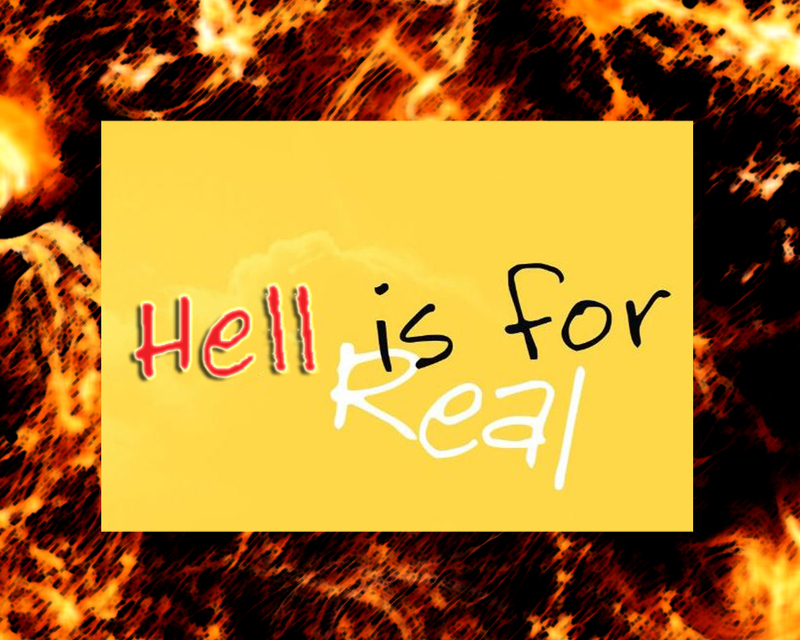 4 Responses to HELL is for REAL!